"You had me at Aloha". I can't remember when the idea came about to invite our friends to Calderstone's Park for a picnic, however I can remember when my planning got a little obsessive (around 6pm Sunday evening). Not content with rustling up some sandwiches and a blanket, I wanted to create an extravaganza. You know, pom pom's hanging from trees, giant teepees, buffet feasts for kings and park games galore. I even did a Pinterest board. 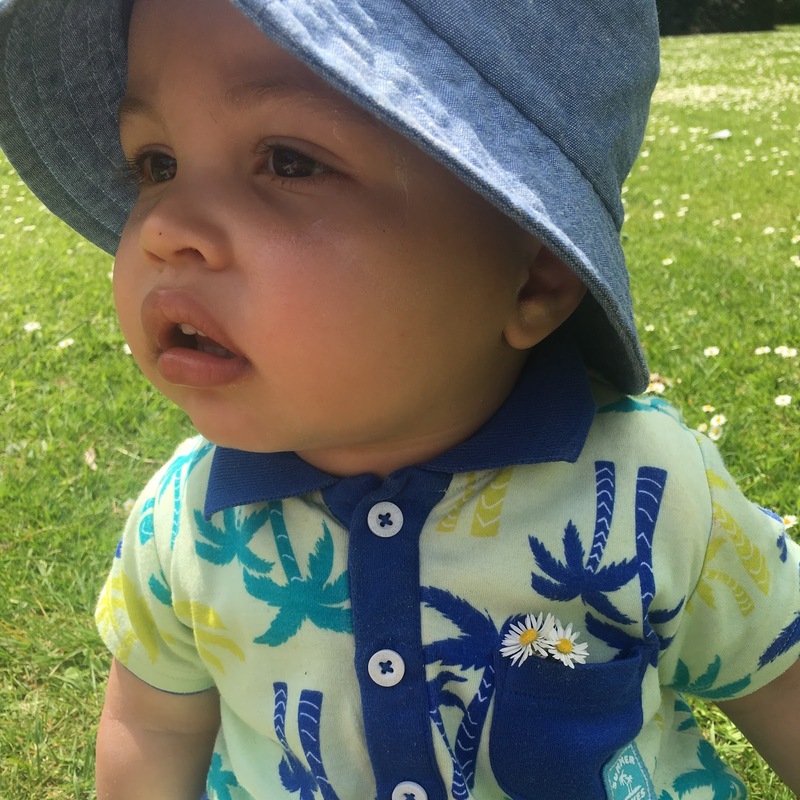 Thankfully time was against me (you can't do a Hobbycraft haul in 30min) however I did have one little trick up my sleeve, a little collection of picnic ready outfits for Little Monkey. 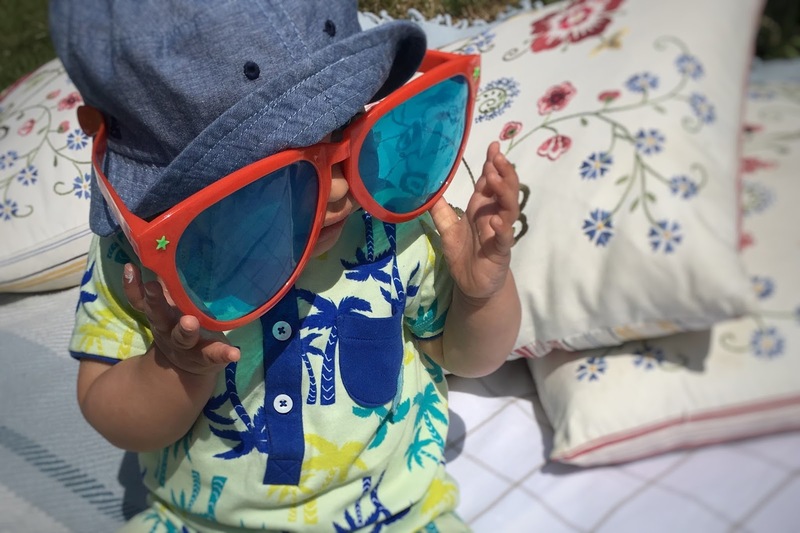 Curtesy of the lovelies at Very, they gifted Henry some super bright tropical inspired styles from their Ladybird range to try out. 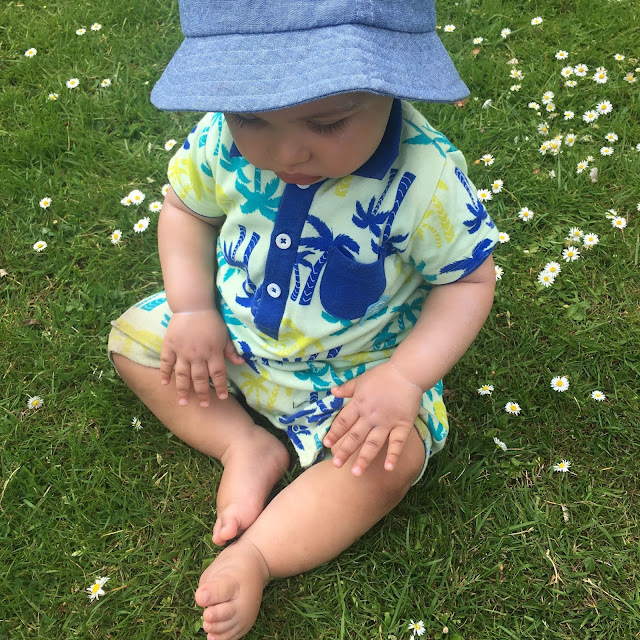 Palm print rompers, super bright tees, bold aztec shorts and enough mix and match options to keep you're Little Monkey summer ready. Still in-keeping with the Ladybird heritage, each piece has lovely attention to detail and in this case, bright accents of colour. I have to admit my favourite piece is the little white romper with navy collar, however lets just say it stayed clean for the whole of 10 minutes. Other highlights include logo tee's, classic polo's embossed with the iconic 38 and enough notes of stripes to keep me happy. However its all about the prints. From palm prints to palm leaves, sketched pineapples to sketched little whales - all on rompers, hoodies and tee's. Alongside Henry's little fashionable wardrobe, I pulled out his garden teepee, some bunting and raided my Mum's house for oversized embroidered pillows to create a little picnic area. After a little fashion shoot (Mummy blogger problems) we then settled down to relax whilst our friends began to arrive. I think there were 8 couples in total with babies (1 baby yet to be born) and it was a perfect mix of people. The babies enjoyed ignoring each other and we enjoyed grabbing the odd bite to eat whilst chasing them around the park. I think I even managed the odd conversation that didn't involve poo, baby no.2 or my favourite topic of conversation, "is he walking yet?" Nope, in case you wondered. My tips for holding a picnic for babies is to make sure you take hats and plenty of sun lotion. Also try and keep them covered, without them getting too hot. The teepee was great for changing Henry in, plus a great place for him to eat out of the sun (the pram was also good for this) and also for keeping our food cool. Take as many toys as you can carry and keep the little ones hydrated. We also set up camp 5 minutes from the shops and toilets, which was a godsend when we ran out of water. Henry also had a lack of appetite, therefore rather than settling him down for a full lunch, I kept giving him little snacks and fruit (which was another great source of water). Some friends had watermelon which the babies loved. Overall it was a perfect YouTube ready kind of day and Henry had a fabulous time crawling riot. His romper looked beautiful in all his little pictures and kept the sun off his shoulders. Win win in my book.